More than 100 finalists from Bangalore government school will compete in the final spelling bee for a college scholarship on Saturday. The competition, hosted by an Indian American-led foundation, gives a chance to students from underprivileged backgrounds new opportunities to learn. The 10th edition of an annual competition aimed at giving underserved students a chance to learn and improve their English skills will be held in Bangalore, India, on January 19. 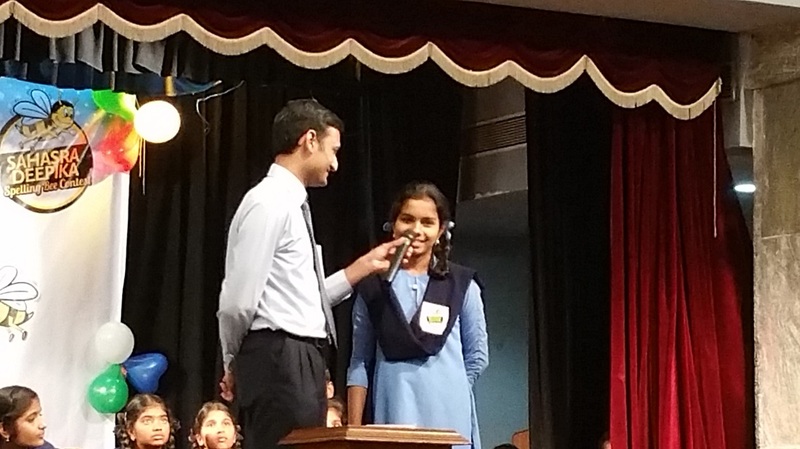 The 10th annual spelling bee competition will be hosted by Sahasra Deepika Foundation for Education, a non-profit educational institution based in Bangalore. The organization also helps these students, compete for a college scholarship. About 140 finalists from 35 high schools in the Bangalore area will be competing in the finals. The event will be held at RV Teachers College Auditorium, Jayanagar. In its 10-year history, the event has seen almost 20,000 students from 9th grade participating in the competition. From a philanthropic viewpoint, the event gives a great opportunity for many promising students from underprivileged backgrounds, who may have fewer opportunities to learn and grow as compared to the ones who can afford private school education. Taking a part in the contest are students enrolled in Kannada medium from some of the poorest government schools in the Bangalore city. The emcee of the event will be Rajendra, who is based in Northern Virginia. Arjun Bahadar, associate director of Business Development & Partnerships for the British Council Division of the British High Commission, will be the chief guest at the event. The guest of honor would be K.N. Subba Reddy, president of the Karnataka Advocates Federation. True to its name, Sahasra Deepika, which translates to “a thousand lights,” aims to bring a thousand lights of hope into the lives of these young students. The foundation has been working to educate and house underprivileged children in Bangalore. By many means and motivations, the students are encouraged to realize their full social, academic and intellectual potential.